How do you solve a problem like a flyer? That’s the question we asked ourselves when premium design and print brand MOO asked us to launch their new product. Marrying an idea that tied into the throwaway nature of a flyer and the premium design heritage of MOO’s print business, was a tad tricky to say the least. The answer? Flyers that you wouldn’t want to throw away. 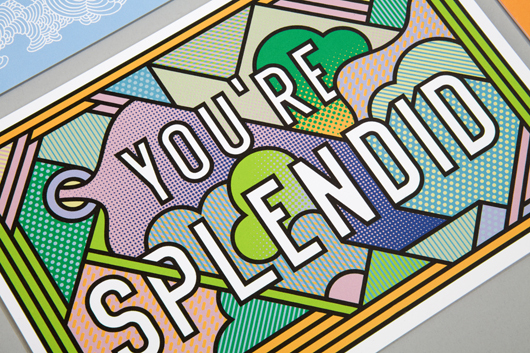 We worked with Rob Lowe (aka Supermundane) to design some beautiful complimentary compliments on MOO’s new flyers. 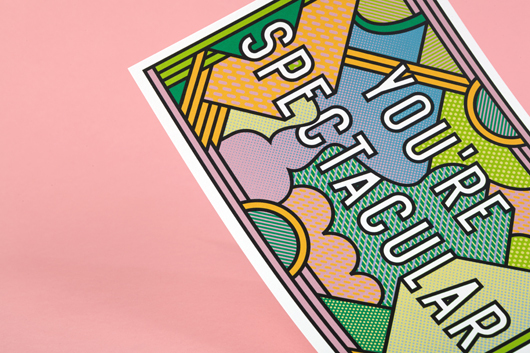 He created a total of six designs, featuring stylised typography spelling out compliments such as “I think you’re splendid” and “you’re spectacular”. The themes expand on Lowe’s previous artworks, such as his iconic “I think you’re wonderful” phrase, whose signature prints have been exhibited around the world. 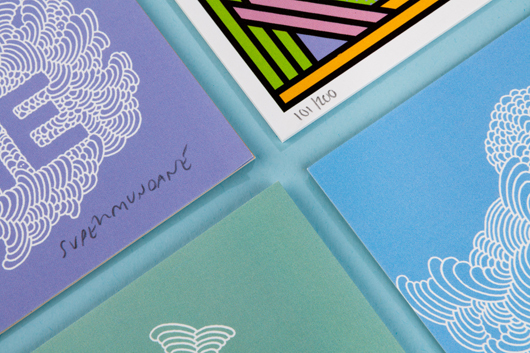 Each piece of artwork was signed and numbered by Lowe, before being given away in London’s creative capital, the Southbank, as well as at the Design Museum in Boston (and they say you can’t get anything for free …). The coverage was pretty complimentary too, with nice words being written by top UK design and creative media such as Design Week, Digital Arts, Creative Bloq, Design Curial, Deseq and Ideas Tap. It also made the grade on top global creative and trend sites including Bored Panda, Trend Hunter and Inspiration Room, as well as US marketing bible – AdWeek. Kudos too to our partner agency across the pond. Williams and House worked with us on the campaign securing some brilliant Boston hits including the Boston Magazine, Boston Calendar, Boston Good Life and Bostinno.